Happy Fall! The weather is getting cooler, the sweaters are coming out of the closet, and school is back in session. If you are in need of some budget-friendly personal care products to make the transition into the cooler weather more manageable, Kim Paschen, Leaping Bunny's Program Manager, has you covered below. Also included in this newsletter is a little Leaping Bunny 101 quiz with the basics on our Standard and what makes our program unique. Can you answer the questions without looking at the answers? We also provide information on our newest certified companies and end with an interview from Leaping Bunny certified Village Common Mercantile. Now that we've officially entered the fall season, it's time to talk about all things back-to-school and pumpkin spice related. We'll give you a break on the pumpkin spice bit, but I want to share with you some of my favorite budget-friendly Leaping Bunny certified items that students are sure to love. 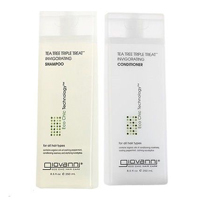 This shampoo and conditioner absolutely lives up to its name. Both are loaded with organic oils of peppermint, rosemary, and eucalyptus, plus tea tree oil, and they're great for all hair types. The best part (besides the price—at around $6-8 a bottle) is the amazing tingling, cooling, refreshing sensation you can experience if you leave the conditioner on for more than three minutes. It's like a mini scalp massage! 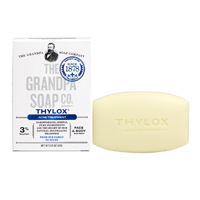 Grandpa Brands has been in business making soaps since 1878, so they must be doing something right! This soap is a mainstay in my bathroom for a bunch of reasons. First, it's vegan and Leaping Bunny certified. Second, it contains the natural acne- and inflammation-fighting ingredient sulfur (but without the annoying smell) so it not only cleans; it naturally helps to reduce oil and breakouts. Third, it's only about $4 a bar, a steal when you think about all of its uses. No one likes to sweat. But anti-perspirants that don't contain aluminum are about as common as unicorns. 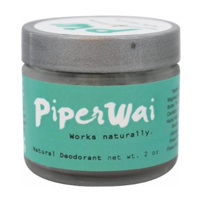 So imagine my delight when I began using Piper Wai deodorant and found not only does it work effectively as a deodorant, it keeps me dry. It's got active charcoal in it that helps to absorb wetness plus their pH-balanced concoction keeps bacteria (i.e. the stinky factor) away. A jar of this costs about $10, which sounds like a lot of coin, but a little goes a long way and it's worth it to not have questionable chemicals on one of my body's most sensitive areas. What better way to start the new school season than with a little Leaping Bunny 101 Quiz? Read the question and answer series below to see if you're an LB expert. Q. What is the Leaping Bunny Standard? A. The Standard is short for the Corporate Standard of Compassion for Animals, a voluntary pledge that cosmetic, personal care, and/or household product companies make to clear animal testing from all stages of product development. The company's ingredient suppliers make the same pledge and the result is a product guaranteed to be 100 percent free of new animal testing. All Leaping Bunny certified companies must be open to independent audits, and commitments are renewed on an annual basis. Q. What's the difference between the Leaping Bunny list and other lists I have seen? A. 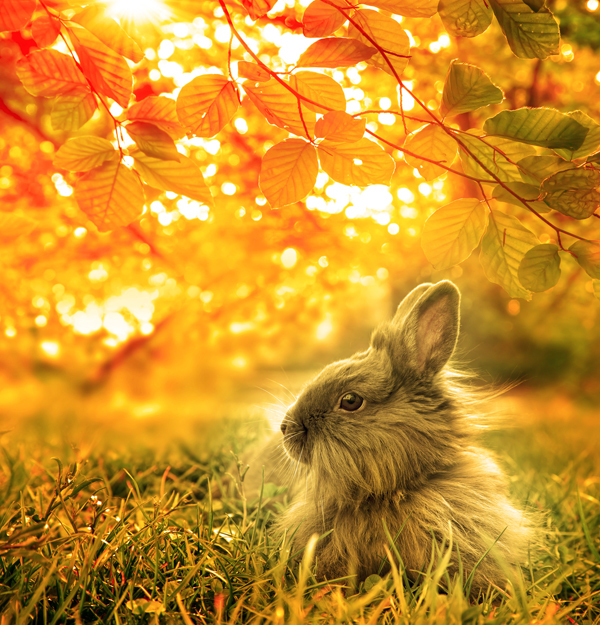 The Leaping Bunny Program, operated by the Coalition for Consumer Information on Cosmetics (CCIC), offers not just a list, but a Standard—the only Standard that guarantees a product to be free of new animal testing. While many ingredients have been tested on animals in the past, the Standard is designed to prevent future animal testing and eventually drive animal testing out of the industry completely. In addition, the Leaping Bunny Standard is internationally recognized. Formed from the nation's largest animal protection groups, the CCIC also partners with animal protection groups in Canada and Europe. Q. Is there a fee for joining the Leaping Bunny Program? A. No. 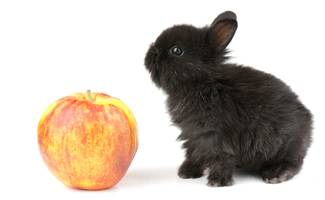 There are no costs associated with applying or becoming certified by the Leaping Bunny Program, which includes being listed in all versions of our shopping guide. However, a company may choose to license the Leaping Bunny Logo for a nominal, one-time fee based on a sliding scale. Want to learn more? 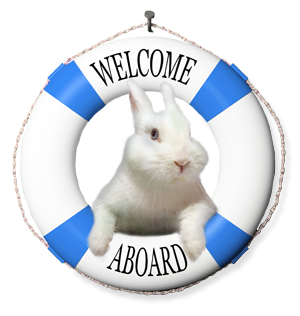 Check out Leaping Bunny's recent webinar for the e-tailer site, LuckyVitamin.com for tips on shopping cruelty-free! Hooray for new companies making the commitment to go cruelty-free! Check out our fresh new batch of brands recently added to the Compassionate Shopping Guide, and be sure to click on their links to learn more! Hand crafted, small batch artisan body care. Products include cold process soap, lip balm, natural deodorant, sugar scrubs, bath oils, and mineral bath salts. Family owned natural soap and body care company with a concentration on zero waste and utilizing recyclable packaging. Premium organic personal care products that fuse European artisan quality with healthy California organic culture. Plant powered face and body products to fully nourish skin from the inside out. Cleaning products certified organic by the USDA and free of GMOs, synthetic preservatives, and harsh chemicals. Skin care made with organic, unrefined, food-grade, and non-GMO oils. Handcrafted in small batches and packaged in amber glass. Created for women over 40 who are too busy for a strict skin care regimen. A diverse line of all natural goat-milk-based bath and body products, which include soap, lip balm, lotion, hand and foot balms, shaving soaps, dog shampoo, and insect repellent. High quality soap, serums, balms, and botanicals created by a community herbalist with a passion for holistic wellness. Minimalistic, handmade mineral makeup and organic skincare created for individuals with super sensitive skin. Cruelty-free, organic, vegan face and body care products featuring fair-trade Moroccan argan oil, raw African shea butter, and organic matcha. This month, we are excited to interview Blake and Ben, the owners of Village Common Mercantile. With fresh, original scents and gorgeous packaging, Village Common Mercantile is definitely a company to keep on your radar. Read below to learn more about the founders' grassroots beginnings, inspirations, products, and so much more. Also, be sure to check out our review of their Essential Oil Environmental Spray on the Leaping Bunny Blog. What was the inspiration behind the creation of Village Common? We created Village Common as a way to materialize our passions for creating beautiful things inspired by the world we live in. We wanted to create a brand and company that offered unique and personal items to our community. As individuals we each always dreamt of running our own business and as a couple we've built a company built on our passions and inspirations. How would you describe Village Common to someone who is unfamiliar with your company? Village Common is a lifestyle brand with a unique history. 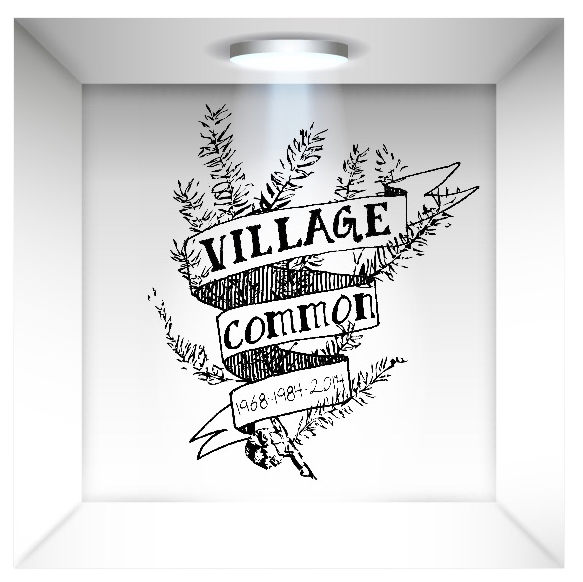 The name Village Common comes from a family passion spanning over 40 years. In 1968 Grandma Bernadette opened the first Village Common market, an antique and country market in Avenel, New Jersey. In 1984, Ben's mom re-opened Village Common on the grounds of their new family business and turned it into a country gift shop. And in 2014 we (Blake and Ben) brought the name back to life, creating handmade, natural apothecary goods, kindled by our family history and passion for creating new and unique items. What is your favorite Village Common product and why? It's hard to pick just one, but we love our candles! We've spent countless hours developing them and went through just as many iterations of our packaging and branding of the candles until we found the perfect way to tell the story of each scent! Blake's favorite scent is definitely Chisos (7825) and Ben's favorite scent is South of Monterey, or our newest, Holiday-esque, Highland Dell. We strictly use all natural ingredients - soy wax, pure essential oils, coconut oil, jojoba oil, etc in all of our products and, as far as we know, have been able to make sure all these items are vegan, but we have not yet been certified vegan. Your packaging is gorgeous. What is the inspiration behind it? Well thank you! Our packaging (designed by Ben) is meant to tell the story of each scent's namesake—both literally and metaphorically. The story of where the scent names comes from is printed on one side, while the other is printed with our original poem (written by owner Blake Hays) that is meant to convey the ephemeral essence of each scent's namesake and is included with every product. The box is then wrapped in an original photograph/image of the landscape for which the scent is named. Your scents are very unique. What is your process for creating fragrances? All of our scents are inspired by the American landscape and each scent is named for locations held near to our hearts; for example, our childhood homes, inspiring travels, our family, and company history. When we are creating a new scent inspired by a location, we try and look beyond what that place smelled like and try to create a scent that embodies the feeling and inspiration we found there. What has been the most rewarding part of creating Village Common? Nothing beats working for yourself and the saying of "do something you love and you'll never work a day in your life" is definitely true! Village Common is much more than just a product we are trying to sell, it is a story, a family history, and so much of us (Blake and Ben) poured into something we truly love doing. Why? Shouldn't this be important to everyone? Just like our belief in using all natural ingredients, we believe that no product should ever be tested on an animal or negatively affect one either. There is simply never a need to cause harm in the name of beauty or vanity. What is something unique about Village Common that others may not know? Currently Village Common is a two-man show. Literally. We (Blake and Ben) are the owners and sole employees of our company. From start to finish we produce all of or products. Designing the packaging, developing the scent, hand blending our pure scents, hand pouring every candle, eight at a time, hand stamping every candle jar with our poem label, hand blending our Environment Sprays and Essential Oil Fragrances, and labeling each and every one by hand. We are also the shipping, PR, financial, graphics/digital teams wrapped up in one.